MetroApp is a free software for Windows 8 that lets you create shortcuts for Windows 8 apps on desktop, thereby helping you to access some selected Metro apps quickly. MetroApp is one of the major reasons that Windows 8 is getting so much attention. Now, to access an app, you need to head over to the charms bar and then search for an app, and finally start accessing it. This is a quite long procedure if you are using some selected apps on regular basis. To overcome this issue, MetroApp has been designed. 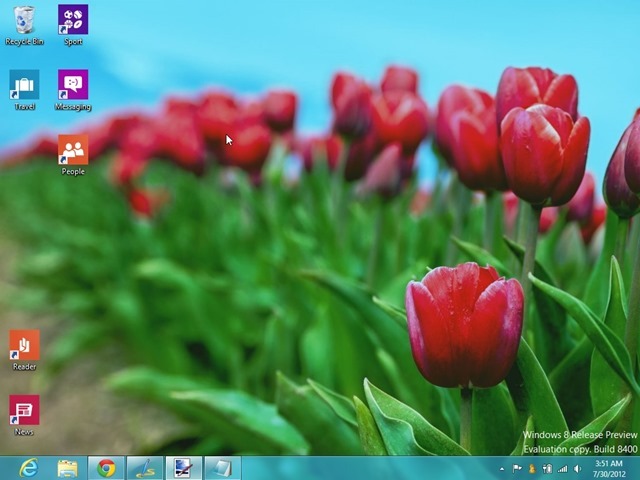 This Windows 8 software allows you to create a shortcut for some selected metro apps on your Windows 8 desktop. Creating a shortcut on desktop actually saves you time that you usually take from going into the start menu and selecting the app. Check out more Software for Windows8. Head over to the given link. Open the downloaded set up and extract all to unzip the downloaded unzip file. Yupp..you will soon find the software installed in your Windows 8 system. 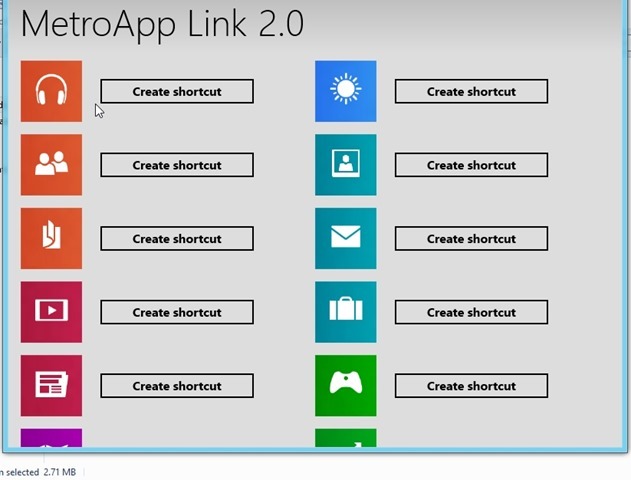 In short, MetroApp Link 2.0 is a nice addition to Windows 8 software that saves you lot of time. Go ahead and create shortcuts for Windows 8 apps on desktop.